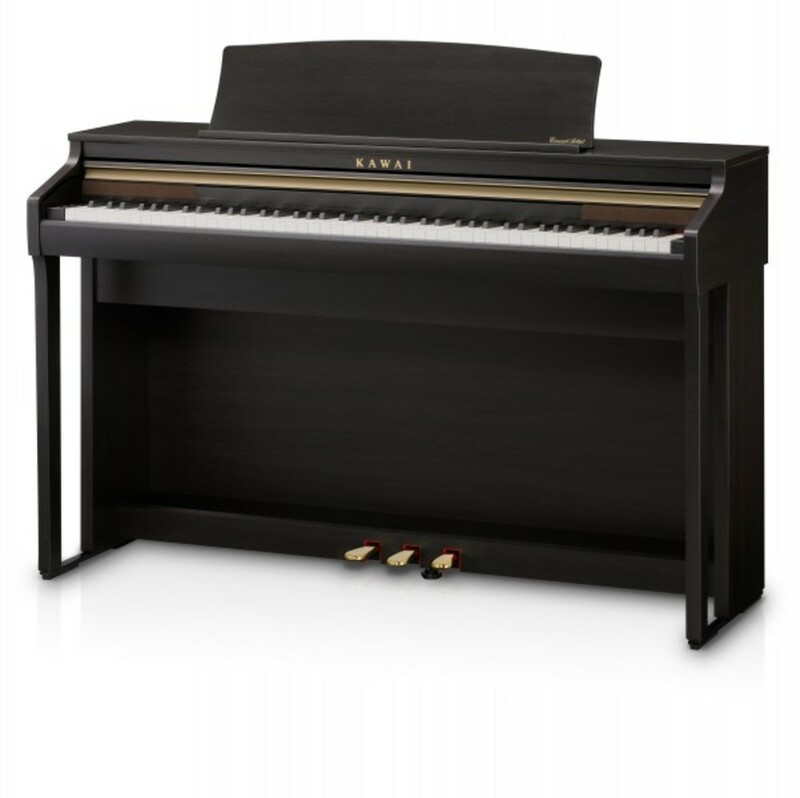 The CA48 digital piano utilises Kawai's latest Grand Feel Compact keyboard action, which draws upon 90 years of acoustic piano craftsmanship to provide an exceptionally realistic playing experience. All 88 black and white keys are crafted entirely from long pieces of wood, with finely textured Ivory Touch key surfaces applied to assist playing control. 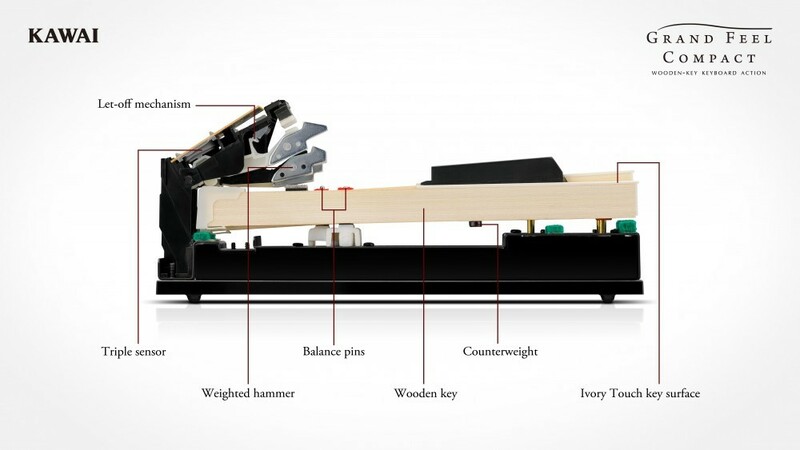 As with an acoustic grand piano action, the keys rest on a metal balance pin and move with a smooth seesaw-like motion, while the extended pivot length ensures a consistent, evenly-balanced touch weight - even when playing towards the back of the key. 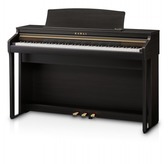 The Grand Feel Compact action also incorporates grade-weighted hammers, bass region counterweights, and let-off simulation for added authenticity, while its accurate triple-sensor key detection system allows rapidly repeated notes such as trills to be performed smoothly, without unnatural breaks in sound. 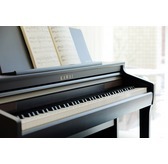 The CA48 digital piano captures the magnificent tone of Kawai's flagship Shigeru Kawai SK-EX full concert grand piano. 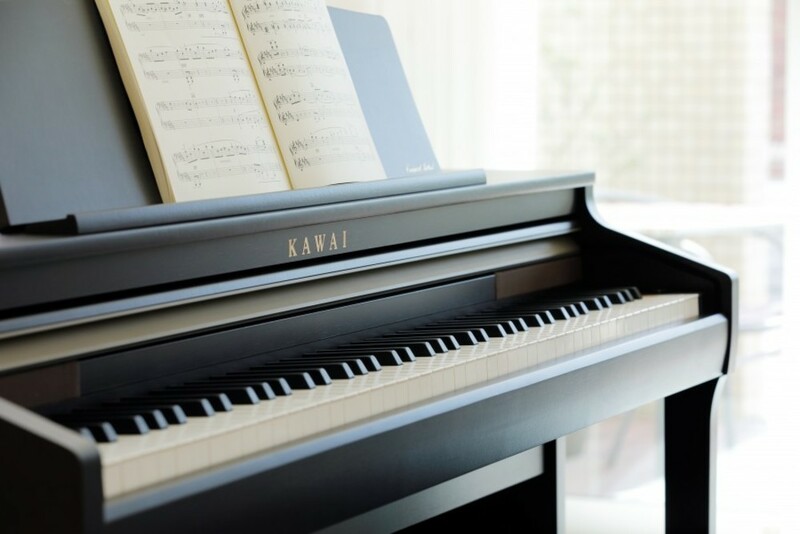 Widely regarded as the 'premier pianos of Japan', Shigeru Kawai instruments grace the stages of concert halls and musical institutions throughout the world, and are prized for their exceptional tonal clarity. 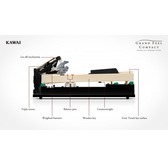 In addition, the CA48 also features the distinctive sound of Kawai's highly acclaimed EX concert grand piano, which has frequently been selected by professional pianists in such prestigious events as the Chopin, Tchaikovsky, and Rubinstein international piano competitions, among others. 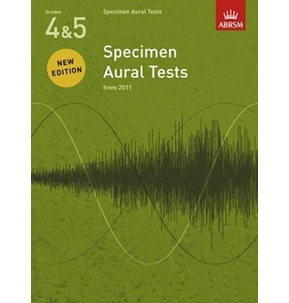 Both instruments have been carefully recorded, meticulously analysed, and faithfully reproduced with full 88-key sampling using Harmonic ImagingTM sound technology. 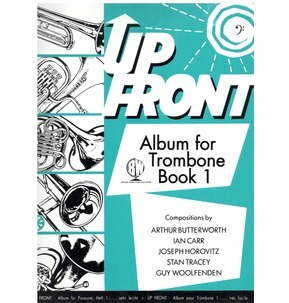 This unique process accurately recreates the broad dynamic range of the original grand pianos, affording pianists an extraordinary level of expressiveness ranging from the softest pianissimo to the strongest, boldest fortissimo. The new CA 48 features song recording capabilities that both enhances one's playing enjoyment and assists with piano study. The CA48's useful recorder allows up to three songs to be stored in internal memory and played back at the touch of a button, serving as a convenient self-assessment tool for players of all skill levels. The CA48's Spatial Headphone Sound (SHS) technology enhances the depth and realism of the instrument's various sounds when using headphones or earphones, while also helping to reduce auditory fatigue when listening for extended periods of time. In addition to the USB-to-host port and the MIDI ports, the new CA48 also boast integrated Bluetooth MIDI technology, allowing the digital piano to communicate with supported smart devices wirelessly. 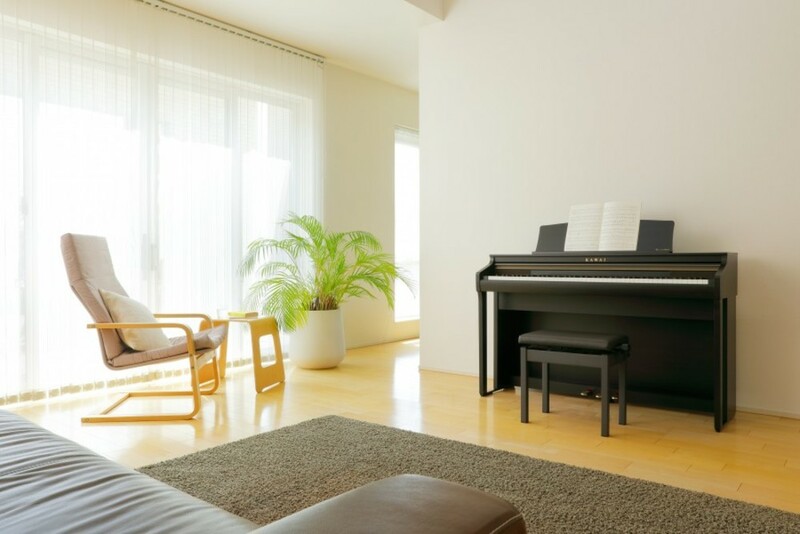 As with a grand piano, the viewing angle of the CA48's music rest can be adjusted to suit the performer's playing position, or laid flat for convenience when notating scores.